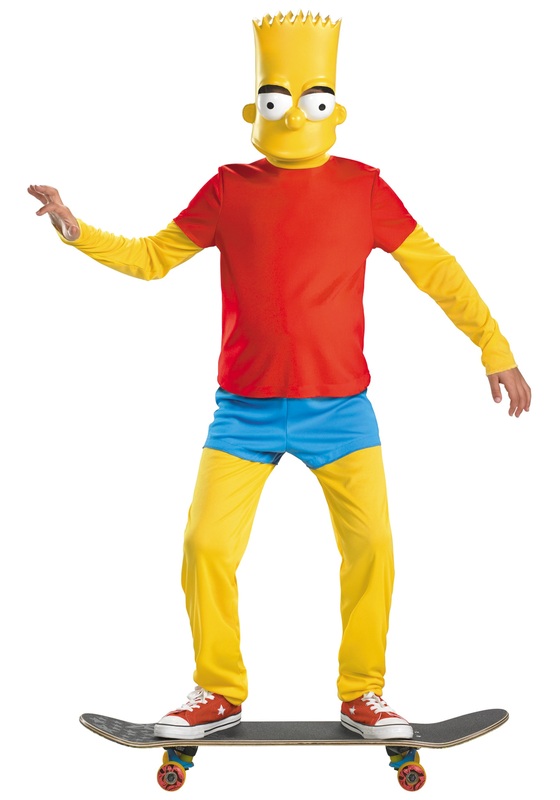 Tell people to stop having a cow when you're wearing this Deluxe Boys Bart Simpson Costume! It's a 100% polyester interlock knit jumpsuit that fastens with Velcro at center back, styled to look like yellow-skinned Bart wearing blue shorts and a red T-shirt. 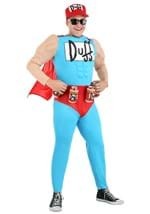 A small red pillow can be strapped around the waist with Velcro beneath the suit to produce Bart's pot-bellied figure. The yellow molded plastic character mask shows Bart's chronically-bored face, and is held in place by an elastic cord. You're sure to be the pride of Springfield now!